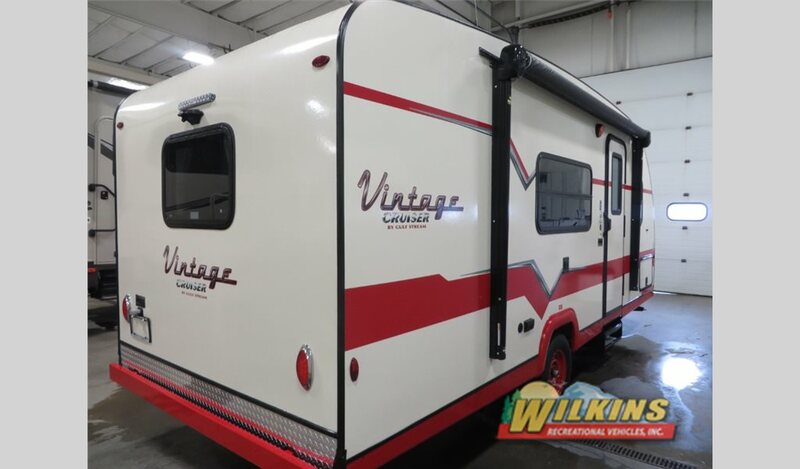 Gulf Stream Vintage Cruiser Travel Trailers Are Here! Bring back the glory days of camping with the Gulf Stream Vintage Cruiser Travel Trailer. 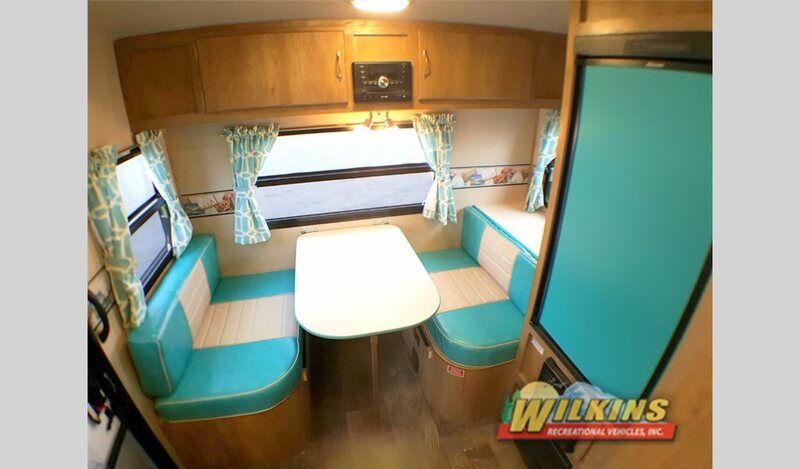 Enjoy all the style and fun if the 1950’s without all the headaches of an older camper. 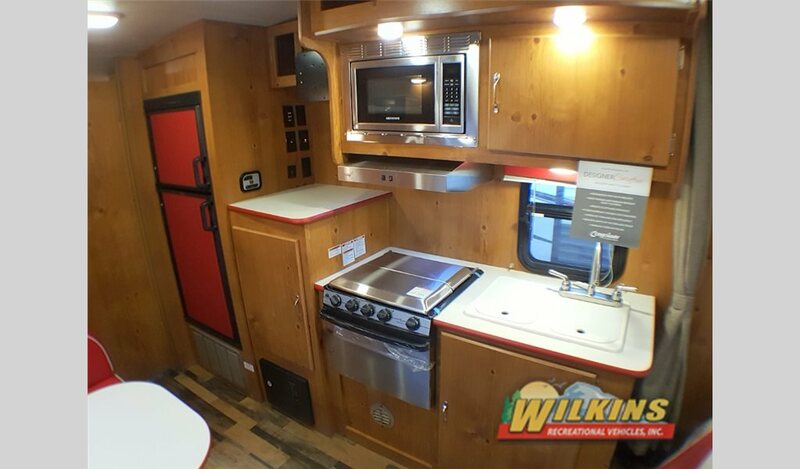 The Vintage Cruiser provides the latest technology, materials, and features of the 21st Century, with all the looks of a classy and fun vintage camper. Gulf Stream Vintage Cruiser – Three Fun Colors To Choose From! Choose from three fun colors schemes including turquoise, cherry red, and vintage woody paneling. 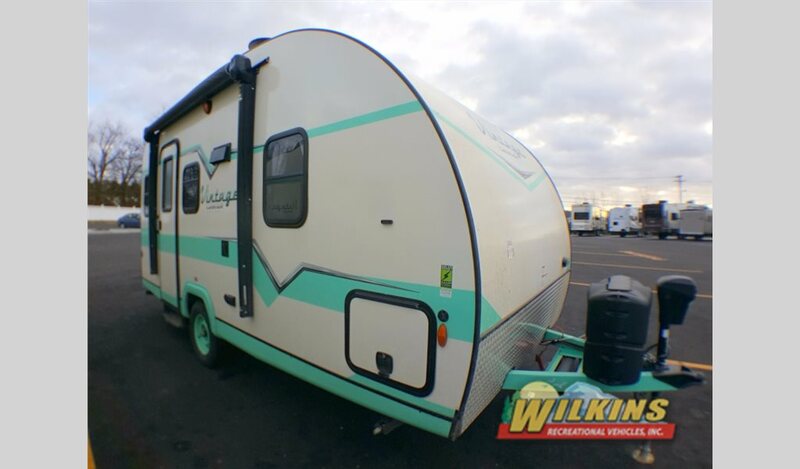 Decorative color accents can be found all throughout the interior and exterior of these unique lightweight travel trailers. From the dinette cushions, to the curtains, bedspread and graphics, Gulf Stream has done a fantastic job designing the Vintage Cruiser to reflect the look and feel of yesteryear. Rounded retro lines and vintage chic decorations add to the Vintage Cruiser’s charm. With modern amenities such as a power awning, spacious bathroom, full kitchen with double door refrigerator and updated entertainment system, you can enjoy all of today’s modern comforts. The fuel efficient towing weight of the Vintage Cruiser allows you to save money on gas and your tow vehicle. 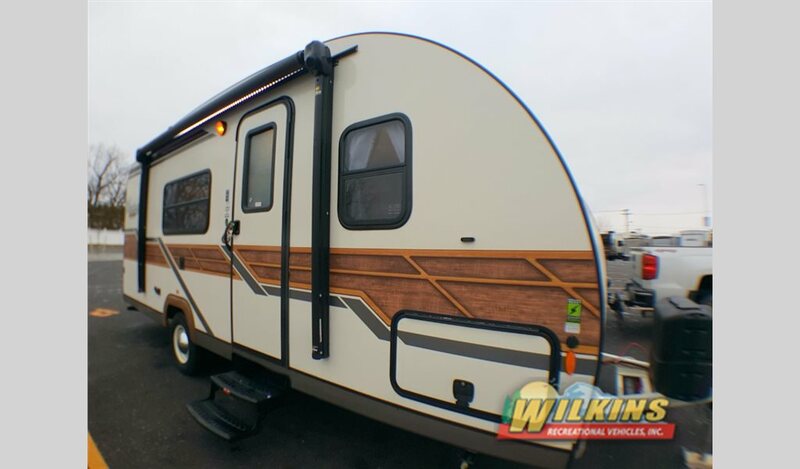 Aerodynamic styling and lightweight materials make towing this RV a breeze. Choose from a variety of well designed floorplans perfect for weekend getaways and fun, spur of the moment retreats. New adventures are waiting! With the electric tongue jack, setting up and breaking down camp is quick and easy. Plenty of easy access exterior storage with slam latch compartment doors allows you to stow your travel items safely. 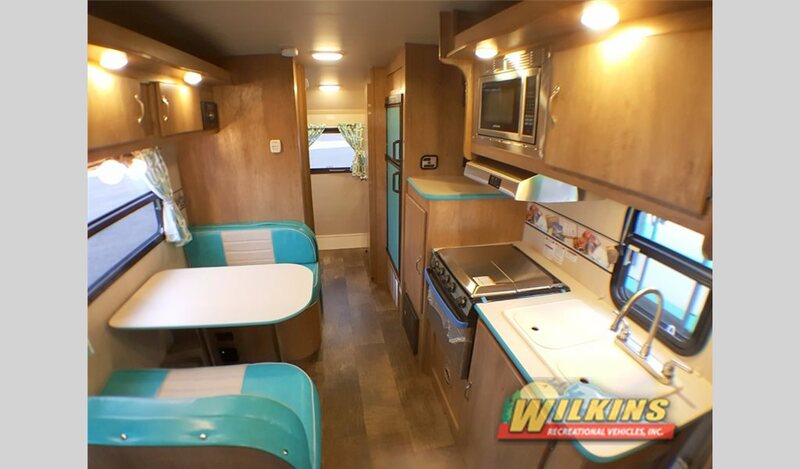 Turn heads in your new Gulf Stream Vintage Cruiser Travel Trailer. 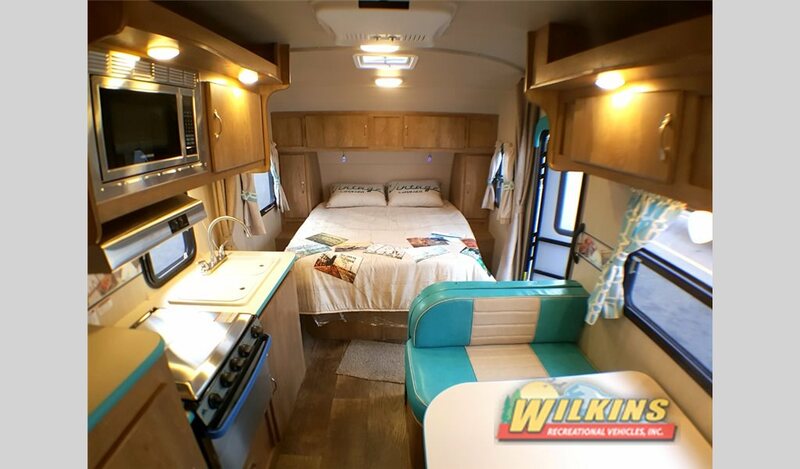 To see these super charming campers in person, Contact Us at Wilkin’s RV or visit us at one of Our Locations in Bath, NY or Rochester, NY. Get them while they last!